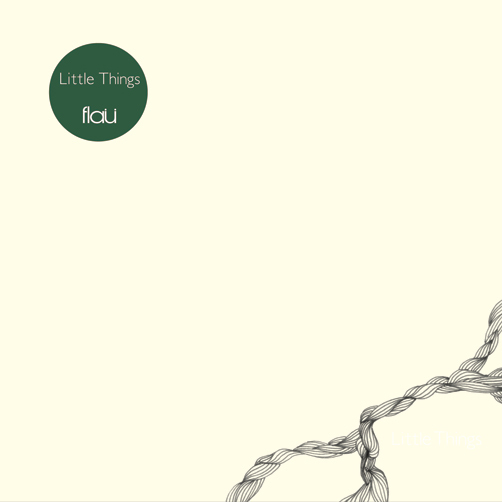 Japan's Flau label casts its net across a worldwide community of artists with a particular affection for fragile arrangements and microscopic songwriting. Notably the likes of Hood and the Moteer crew are featured, with contributions from The Boats, Part Timer, El Fog (as part of duo Pan Am Scan) and Flau co-owner Aus, whose Quicktime collaboration with video artist Iris Piers is included as an enhanced extra on the disc. The compilation starts as it means to go on, with Yorkshire's Jasper Leyland carving out roomy pastoral songs out of field recordings, glockenspiel and fragments of acoustic guitar. Next comes two actual songs, the first from Bristolian pianist and singer Rachel Dadd, the second from Boomkat faves Hood, which strips the band's sound right down to the simplest combination of voice, acoustic guitar and plenty of tape hiss. Despite such a simple, seemingly lo-fi formula, 'This Year's First Storm' sounds incredibly beautiful and finely balanced - just vintage Hood. Fans of Noble Records and 12k offshoot Happy will be pleased to see the inclusion of Gutevolk, who in this instance has reverted to her own name Hirono Nishiyama for the delightful 'Word's End Fanfare', which brilliantly melds natural instruments like flutes and plucked strings with laptop beats and delicately layered vocals. Further in, Morr Music regular FS Blumm combines with trumpet toting New Yorker Luca Fadda for some playful, low-key electroacoustics, while more explicitly digital work punctuates the compilation. Contributions from Cokiyu, Radicalfashion and Pan Am Scan are all exemplary warm, electronic lullabies - matching the intimacy of the acoustic, song-based output of Marla Hansen, Patten and Lori Scacco. A truly lovely piece of work, Little Things establishes a global network of international artists who all share in a similar musical vision, regardless of how different their respective approaches might be. Absolutely gorgeous material.